Databases and information systems are now indispensable for the day-to-day functioning of businesses and society. 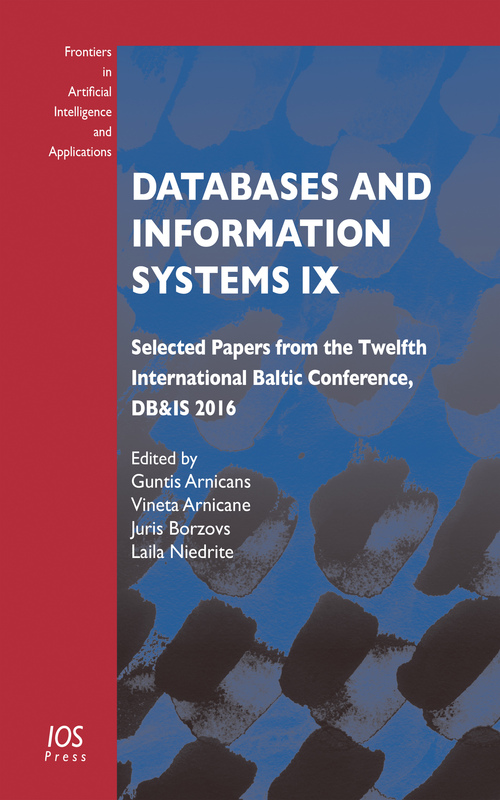 This book presents 25 selected papers from those delivered at the 12th International Baltic Conference on Databases and Information Systems 2016 (DB&IS 2016), held in Riga, Latvia, in July 2016. Since it began in 1994, this biennial conference has become an international forum for researchers and developers in the field of databases, information systems and related areas, and the papers collected here cover a wide spectrum of topics related to the development of information systems and data processing. These include: the development of ontology applications; tools, technologies and languages for model-driven development; decision support systems and data mining; natural language processing and building linguistic components of information systems; advanced systems and technologies related to information systems, databases and information technologies in teaching and learning. 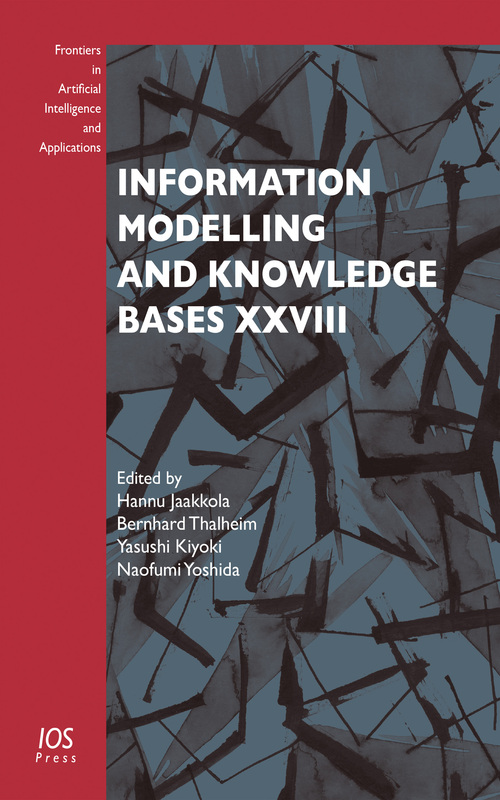 The book will be of interest to all those whose work involves the design, application and use of databases and information systems. Editors: Arnicans, G., Arnicane, V., Borzovs, J., Niedrite, L.
Social robotics drives a technological revolution of possibly unprecedented disruptive potential, both at the socio-economic and the socio-cultural level. The rapid development of the robotics market calls for a concerted effort across a wide spectrum of academic disciplines to understand the transformative potential of human-robot interaction. This effort cannot succeed without the special expertise in the study of socio-cultural interactions, norms, and values that humanities research provides. 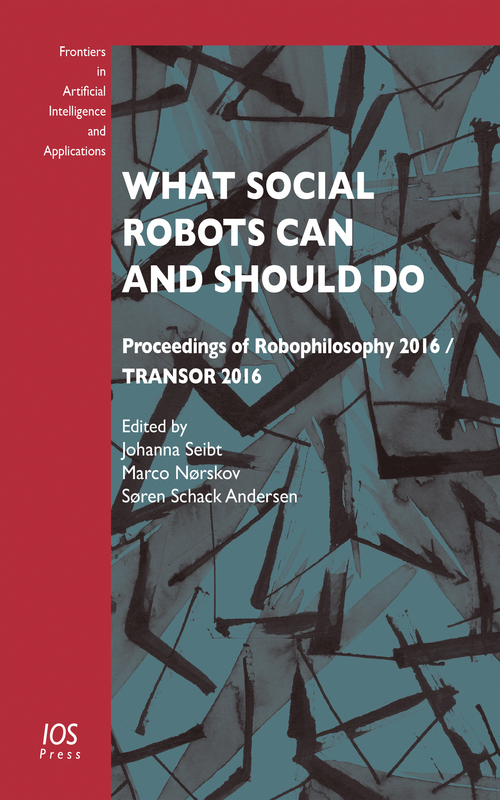 This book contains the proceedings of the conference “What Social Robots Can and Should Do,” Robophilosophy 2016 / TRANSOR 2016, held in Aarhus, Denmark, in October 2016. The conference is the second event in the biennial Robophilosophy conference series, this time combined with an event of the Research Network for Transdisciplinary Studies in Social Robotics (TRANSOR). Featuring 13 plenaries and 74 session and workshop talks, the event turned out to be the world’s largest conference in Humanities research in and on social robotics. 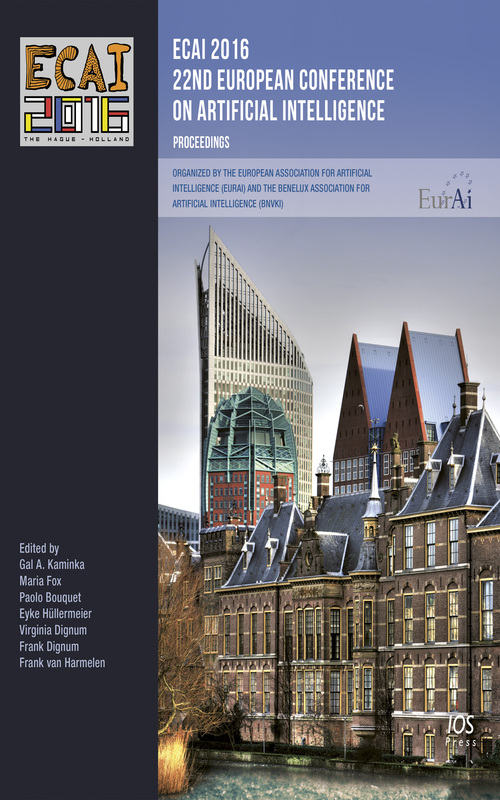 The book is divided into 3 sections: Part I and Part III contain the abstracts of plenary lectures and contributions to 6 workshops: Artificial Empathy; Co-Designing Children Robot Interaction; Human-Robot Joint Action; Phronesis for Machine Ethics? ; Robots in the Wild; and Responsible Robotics. Part II contains short papers for presentations in 7 thematically organized sessions: methodological issues; ethical tasks and implications; emotions in human robot interactions; education, art and innovation; artificial meaning and rationality; social norms and robot sociality; and perceptions of social robots. The book will be of interest to researchers in philosophy, anthropology, sociology, psychology, linguistics, cognitive science, robotics, computer science, and art. Since all contributions are prepared for an interdisciplinary readership, they are highly accessible and will be of interest to policy makers and educators who wish to gauge the challenges and potentials of putting robots in society. Editors: Seibt, J., Nørskov, M., Schack Andersen, S.
Editors: Skadiņa, I., Rozis, R.
The Catalan Association for Artificial Intelligence (ACIA) was formed in 1994 with the aim of promoting cooperation between researchers in artificial intelligence within the Catalan speaking community. This objective has been achieved and widened since the association held their first conference in 1998, and the annual conference of the association has become an international event presenting and discussing the latest research in AI, which attracts AI researchers from around the world. This book presents the proceedings of the 19th International Conference of the Catalan Association for Artificial Intelligence (CCIA 2016), held in Barcelona, Spain, on 19-21 October. From a total of 50 original contributions, 16 long papers and 22 short papers were accepted for presentation at the conference on the basis of their relevance, originality and technical validity. The book is divided into 7 sections: Invited Talks (synopsis only); Vision and Robotics; Logic, Constraint Satisfaction and Qualitative Theory; Classification and Clustering; Modelling; Planning and Recommender Systems; Lexical Knowledge Representation and Natural Language Processing. Providing an overview of the latest developments in the field, this book will be of interest to all those whose work involves research into, and the application of, artificial intelligence. Editors: Nebot, A., Binefa, X., López De Mántaras, R.
Research into computational models of argument is a rich interdisciplinary field involving the study of natural, artificial and theoretical argumentation and requiring openness to interactions with a variety of disciplines, ranging from philosophy and cognitive science to formal logic and graph theory. The ultimate aim is to support the development of computer-based systems able to engage in argumentation-related activities, either with human users or among themselves. This book presents the proceedings of the sixth biennial International Conference on Computational Models of Argument (COMMA 2016), held in Potsdam, Germany, on 12- 16 September. The aim of the COMMA conferences is to bring together researchers interested in computational models of argument and the representation of argumentation structures in natural language texts, with special attention to contributions concerning emerging trends and the development of new connections with other areas. The book contains the 25 full papers, 17 short papers and 10 demonstration abstracts presented at the conference, together with 3 invited talks. Subjects covered include abstract, bipolar and structured argumentation, quantitative approaches and their connections with formalisms like Bayesian networks and fuzzy logic, multi-agent scenarios, algorithms and solvers, and mining arguments in text, dialogue, and social media. The book provides an overview of current research and developments in the field of computational models of argument, and will be essential reading for all those with an interest in the field. Editors: Baroni, P., Gordon, T.F., Scheffler, T., Stede, M.
Software has become an essential enabler for science and the economy. Not only does it create new markets and the possibility of a more reliable, flexible and robust society, it also empowers our exploration of the world in ever increasing depth. However software often falls short of our expectations, with current methodologies, tools and techniques remaining insufficiently robust and reliable for constantly changing and evolving needs. This book presents papers from the 15th International Conference on New Trends in Intelligent Software Methodology Tools and Techniques (SoMeT 16), held in Larnaca, Cyprus, in September 2016. The SoMeT conference focuses on exploring the innovations, controversies and challenges facing the software engineering community, bringing together theory and experience to propose and evaluate solutions to software engineering problems with an emphasis on human-centric software methodologies, end-user development techniques, and emotional reasoning, for an optimally harmonized performance between the design tool and the user. 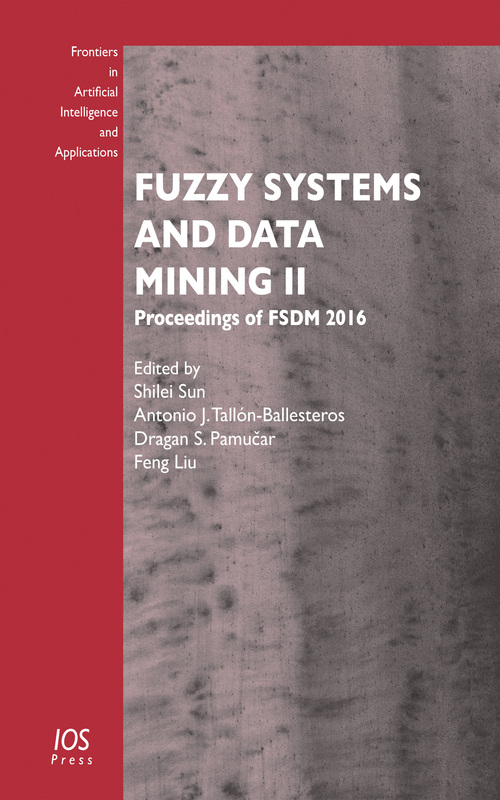 The book is divided into six chapters covering the following areas: decision support systems; software methodologies and tools; requirement engineering; software for biomedicine and bioinformatics; software engineering models, and formal techniques for software representation; and intelligent software development and social networking. The book explores new trends and theories which illuminate the direction of developments in the field, and will be of interest to all in the software science community. Editors: Fujita, H., Papadopoulos, G.A. Editors: Kaminka, G.A., Fox, M., Bouquet, P., Hüllermeier, E., Dignum, V., Dignum, F., Van Harmelen, F.